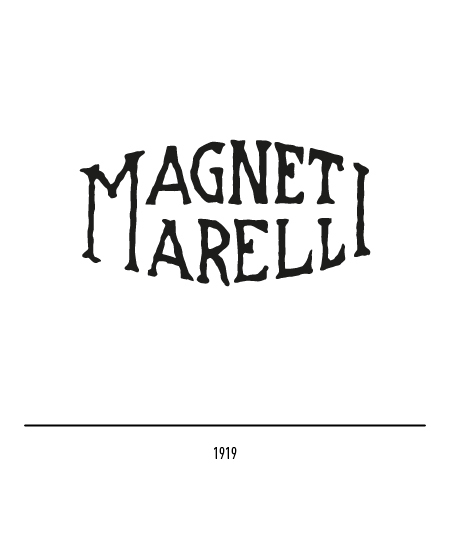 It was 1891 when Ercole Marelli started up his business constructing scientific apparatus at Sesto San Giovanni on the outskirts of Milan. 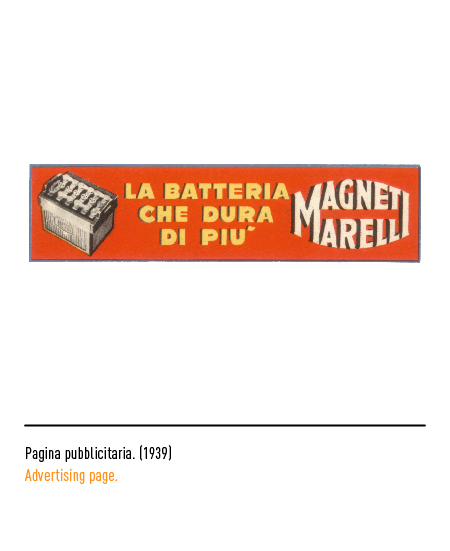 But it was only with the First World War that the production of magnets on an industrial scale for the Italian armed forces really got underway. 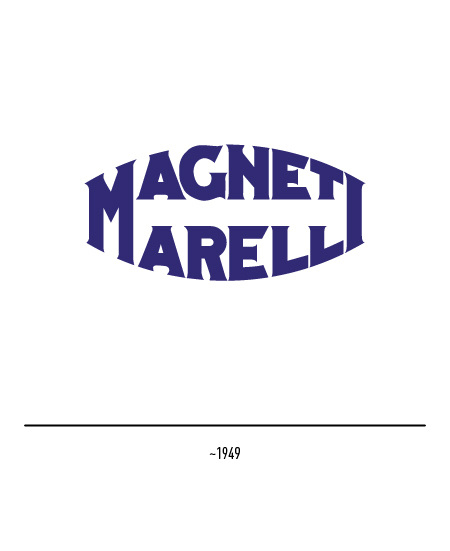 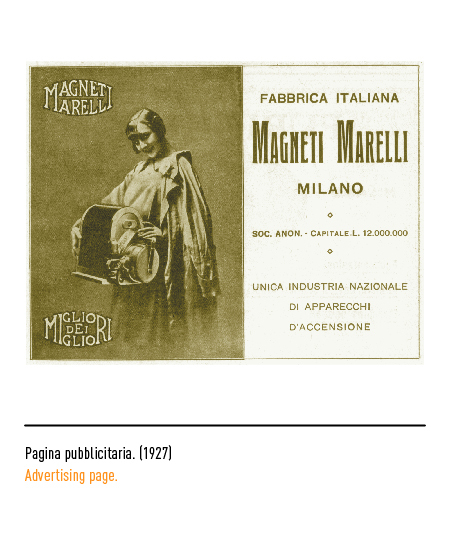 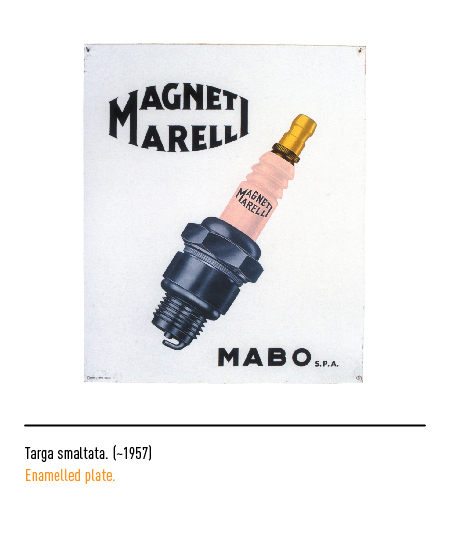 These commissions led in 1919 to a close collaboration with FIAT and the fully-fledged establishment of the "Fabbrica italiana Magneti Marelli" company. 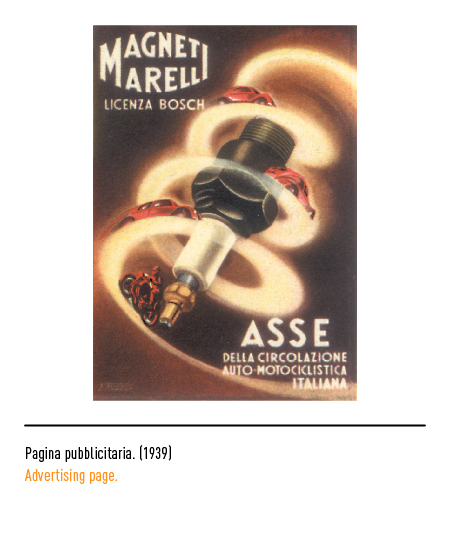 From its initial production of magnets for the air-force and for military transport vehicles the company moved on and initiated the production of electrical equipment for the motor car, naval, and rail-road industries. 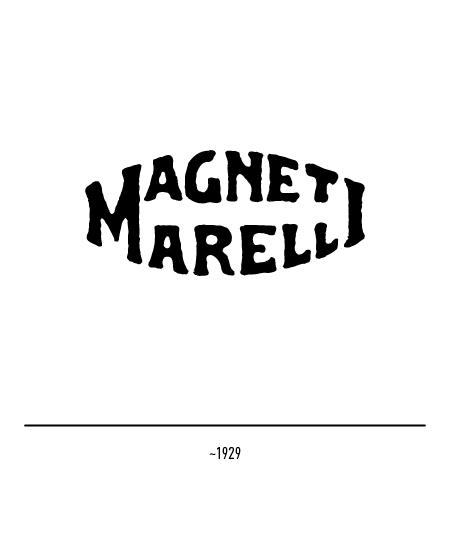 Its trade-mark comprised its two brand-names in an elliptic form so that initial and terminal letters were made to coincide. 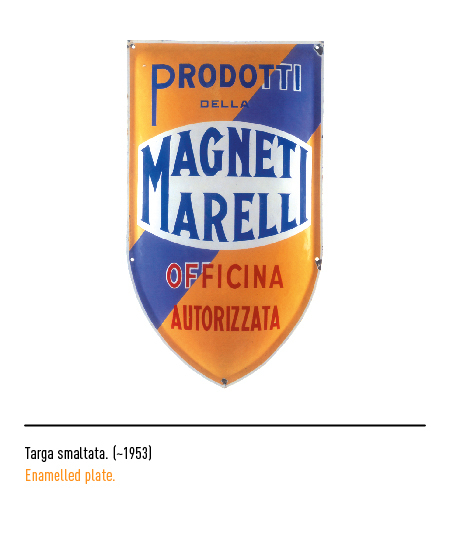 In 1967 the company was entirely taken over by FIAT and the trade-mark underwent its first restyling. 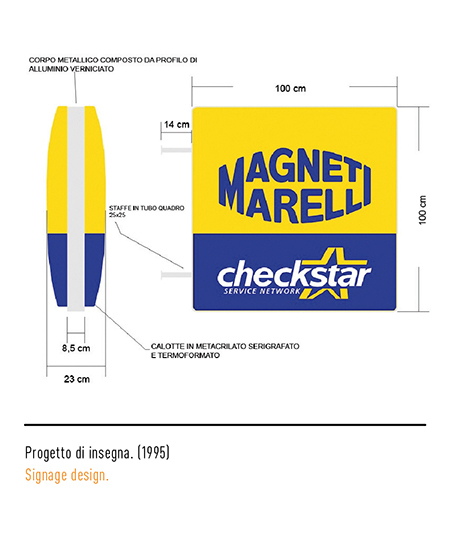 In 1973 to underscore and visually connote the fact that production now also included electronic motor vehicle components and systems a further restyling operation was undertaken in which the company's name was portrayed in blue and set against a yellow background. Thickness and weights were revised but most of all block lettering was adopted instead of the one with serifs used thus far in a revitalising operation in 1987 that improved legibility without however essentially changing trade-mark design. 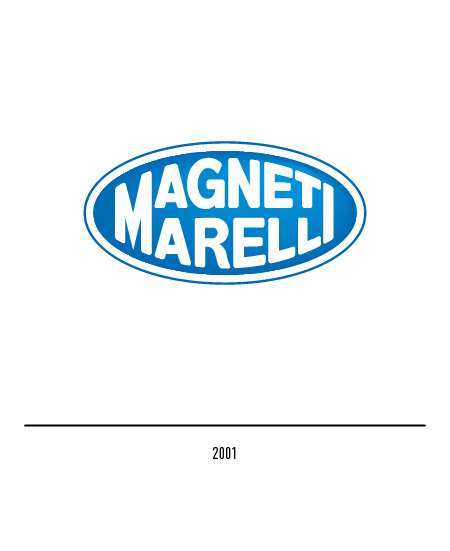 The restyling carried out in 2001 brought in colour changes with lettering now in blue against a white background and the inclusion of the logotype within an ovoid figure. 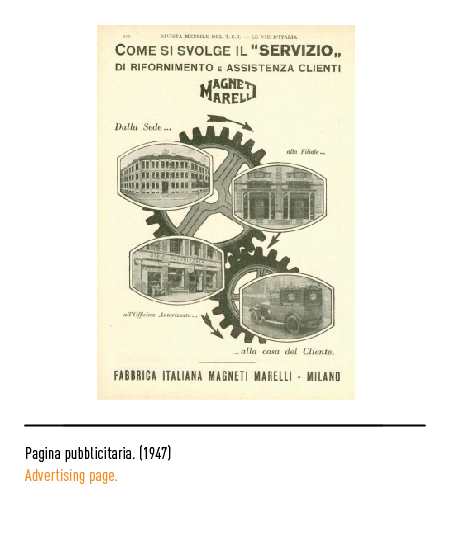 AAVV, MILLERUOTE, Istituto Geografico De Agostini, Novara, 1973. 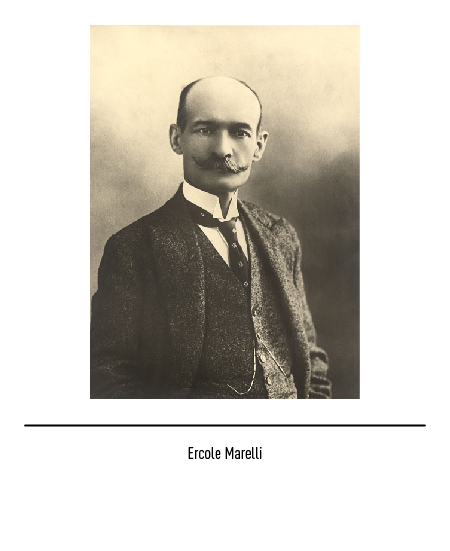 AAVV, LE VIE D’ITALIA, rivista del TCI, n. 11, 1927, Touring Club Italiano. 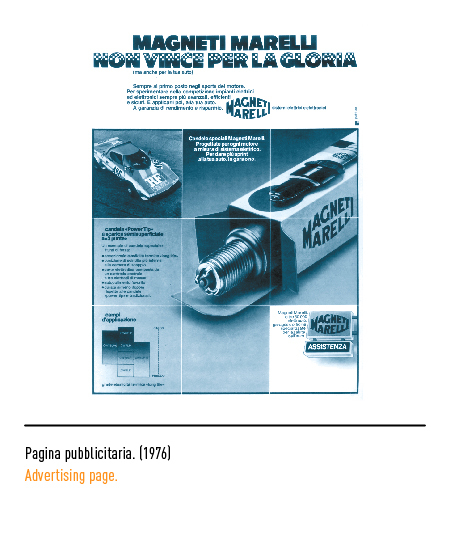 AUTOSPRINT, settimanale di automobilismo, settembre 1976, n. 37, Editoriale il Borgo.